Girl lectura Book. I'd amor to see this statue!. 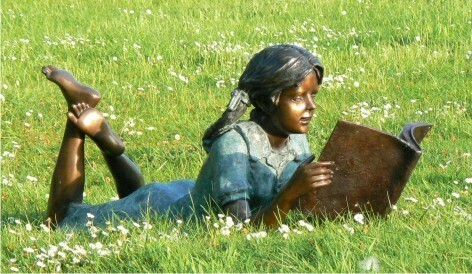 Wallpaper and background images in the libros para leer club tagged: girl reading book statue books to read image. I'd amor to see this statue! This libros para leer photo contains carretilla, carro de jardín, carrito de césped, and carrito de jardín.